Still struggling to get that elusive six pack? Why not dedicate a whole workout session to get chiseled abdominals from every angle? Also Read: Myth Buster: Does Running Give You Abs? We’ve designed an intense abs circuit to help you build thicker abs that pop. Give this intense abs routine a try for a solid six-pack. I am a 31-year old unmarried guy with a big belly. I am a banker. I was not able to arrange the time for my workout. Finding the time and motivation for my workout was my biggest struggle in terms of staying fit, and I appreciate the above tips for overcoming that. Some of these tips, such as scheduling an active date, were ones I hadn’t thought of. 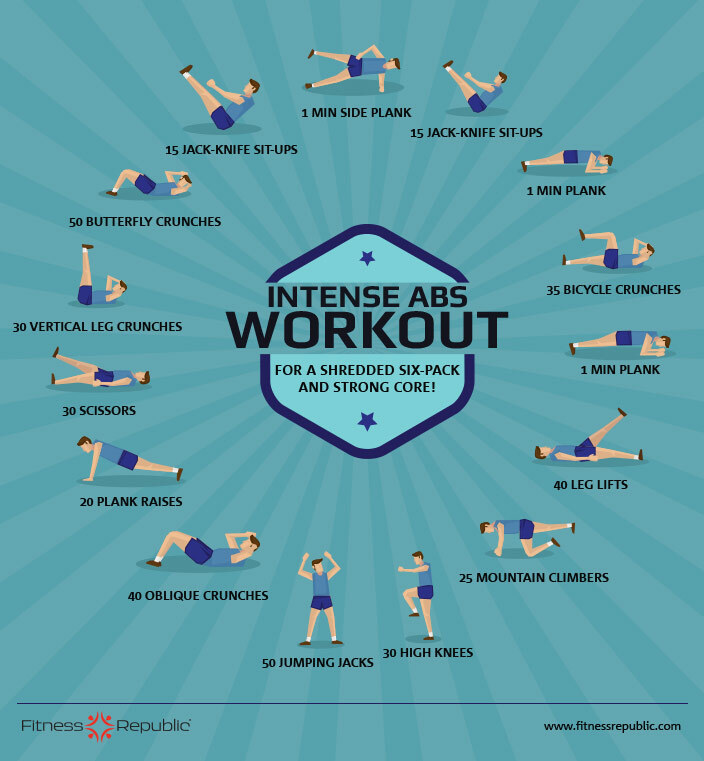 INTENSE CORE WORKOUT FOR SIX-PACK ABS has been explained really well it would be great to hear more about common fitness challenges and some carefully guiding tips for avoiding stupid injuries.